Gradient is a visual or image as a result of multiple color combinations. We can mix match number of colors in different styles to produces amazing looking images (or wallpapers). You can generate gradient images in Photoshop application but following are even simpler and quicker ways to do so. Wallpaper Generator is a portable tool to create amazing looking yet simple gradient wallpapers. 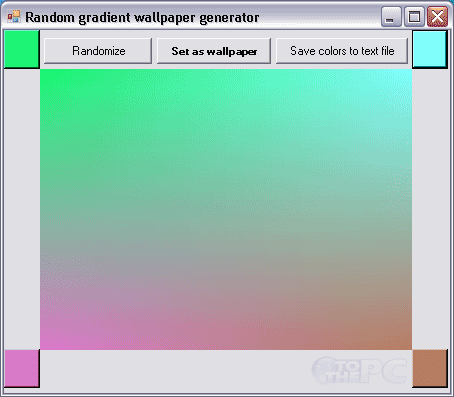 After you are done with color play, click “Set as Wallpaper” button to see gradient images as desktop wallpaper. You can copy the set wallpaper from default Windows picture folder. 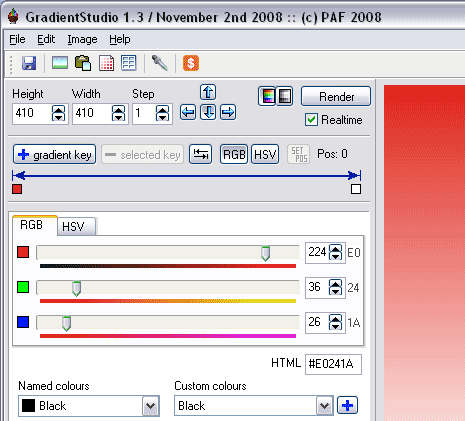 It also provide option to save color codes to a text file for manual manipulation. 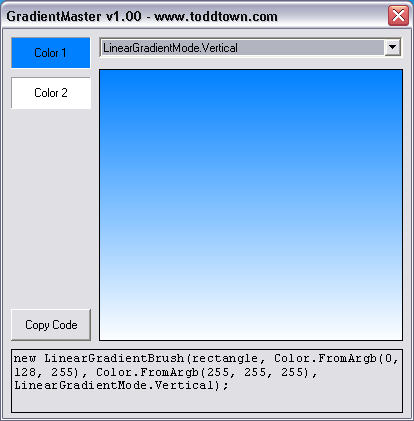 Gradient Master tool allows you to generate gradient from two colors. You can customize gradient by selecting style of color pattern from drop down menu. It provides quick option to copy color codes for further usage. Gradient Studio is an advanced tool for creating beautiful gradient images. It has lot of options to adjust RGB and HSV color values. You can customize height, width of the gradient image and save it as JPEG or BMP image format.